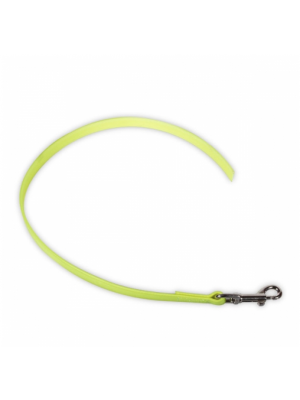 Glow in the dark dog collar with up to a 40 minute glow time. 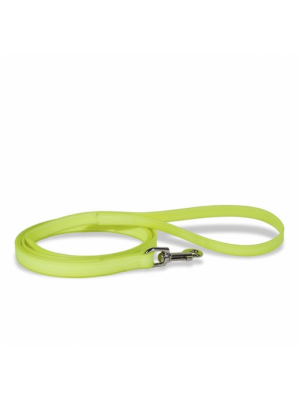 This fluorescent glow in the dark dog collar has a glow time of between 10 to 40 minutes, depending on the charging time in natural or artificial light. It is bright enough to even be seen in daylight, which can help keep your dog visible and safe in wet and foggy conditions. It is lined with black leather for durability and comfort and is also waterproof.